Release your product with FPGA-based precision and performance that makes you look like a rock star! The Process – It’s Easy! Start developing, prototyping, and testing with one of our existing boards while your custom board is being designed and built. Our team will create a design to fit your custom needs, and deliver these to you in custom, pre-programmed boards that are ready for integration into your final product. 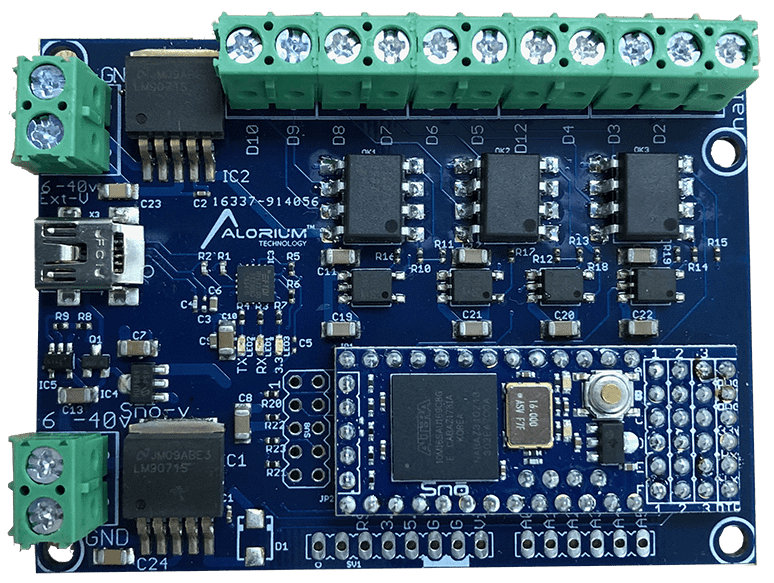 After experiencing troublesome microcontroller lock-up and noise issues with their Arduino, one customer reached out to Alorium Technology to develop a customized FPGA-based noise-immune control module now called AT10.